– Good. Recommended. Contains sections on blackjack, craps, video poker, poker, keno, slots and roulette. A correct basic strategy is included and a good description of the rules of the game and how to play. – If you want to know all about the various betting systems this is the book for you. Originally published at Santa Monica, CA; Carlyle Associates, 1979. Bourie, Steve. American Casino Guide XXXX Edition. Casino Vacations Press. (Approx 400 pages) Published every year. – Very good. Recommended. From the advertising: … provides casino-goers with money-saving, detailed information that can be helpful for both seasoned casino veterans, as well as first-time casino visitors. The guide provides detailed information on more than 750 casino/resorts, riverboats and Indian casinos in 41 states, including room rates, buffet prices, casino games offered and any special features. The book also has maps of all casino locations, plus detailed information on the best strategies for playing the major casino games such as blackjack, craps, roulette, baccarat, slots and video poker. Also lots and lots of coupons! – Very good. Recommended. An honest and intelligent approach to all the major gambling games including blackjack (54 pages), craps, baccarat, roulette, slots, horse racing, video poker, cho dai di, the wheel of fortune, keno, sports betting, bingo and poker. Clymer, Phillip H. From the Dealer’s Side: A Unique Guide for Playing Craps, 21, and Roulette, Written for the Novice by an Experienced Dealer; 1984. – An introduction to the games with pretty pictures. – Review TBD. According to the advertising: Contents include Surveillance Operations, Surveillance Radar: Tells and Triggers, Longevity vs. Notoriety, Player Toleration, Skills Check: Profiles and Breakdowns, Playing with Information, Surveillance Q&A, NRS 465, Regulation 5 and a Bibliography. A great addition to your advantage play library and a definite must have for the serious blackjack card counter. Get inside the mind of what many AP’s (Advantage Players) would label as the “enemy”. Written by a former casino surveillance operator. – Not recommended. Includes sections on Wheels, Keno, Dice, Sic-Boo, Two Up, Craps, Heads & Tails, Blackjack, Roulette, Baccarat and Stars & Bars. Written in and for the games of Australia. – Good. Recommended. 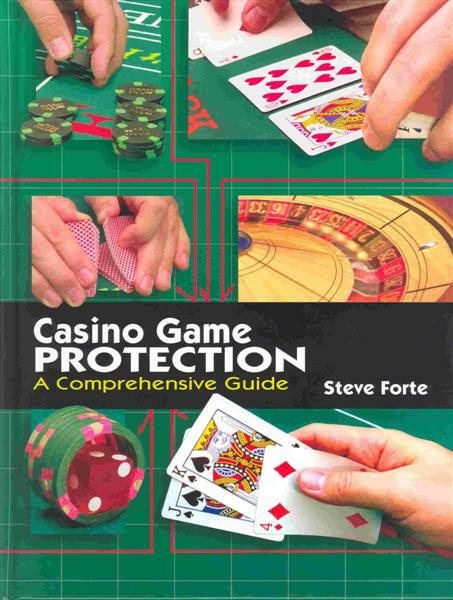 Interesting blackjack game protection section (p.88-94). Includes a good glossary of casino terms. – Excellent. Highly recommended. An exhaustive treatment on blackjack theory and statistics and other gambling games. Eleven major sections cover probability, statistics, game theory, principles of gambling theory, casino games, dice and card games, including blackjack and poker. – According to Wong this book had accurate reviews of almost all books, papers, manuals, magazines, newsletters, etc. published before the middle of 1978 that dealt with any phase of gambling. The index alone was 32 pages. – Review TBD. Includes the Imperial II Count Strategy. ??? – Not recommended. However, includes some interesting stories about supposed card counters The Omaha Kid, Mr. K, Goldberg and Toothless. Goodman admits that it is true – card counting can beat casinos but only if you’re allowed to play. He doesn’t recommend you learn a system. – Not recommended. Includes an 8 page blackjack section. – Very good. Recommended. Covers a wide range of ideas and concepts related to gambling and gaining an advantage. His paper Mathematical Expectation for the Public’s Play in Casino Blackjack is included in its entirety. Much of this material has been presented before in Casino & Sports magazine and Blackjack Forum. Peter Griffin has explored the mathematics of gambling for more than two decades. Extra Stuff is a collection of his most famous magazine articles and papers. Extra Stuff addresses many of gambling’s abstract concepts-proportional wagering, considerations for games with variable payoffs, the effects of rebates on losses-as well as more mainstream subjects, such as the casino’s treatment of hold percentages and analyses of gambling systems. You’ll also find book reviews, quizzes, letters to the editors of gambling periodicals-a virtual kitchen-sink-full of gambling information found nowhere else. Extra Stuff-Gambling Ramblings is packed with mathematics, but Griffin’s easy style accommodates most readers. Peter Griffin died from cancer at the age of 61 on Oct. 18, 1998. – Outstanding. Subtitled Exploiting Casino Games from Blackjack to Video Poker. This exhaustive masterpiece goes beyond his original work but includes everything in the original edition. Originally priced at $250. If you can’t find a copy for under $1000 or so, it is available for review in the University of Las Vegas Gaming Resource Center special collections section. Plan to spend the day there 🙂 There are many accolades for this book. Here is one: “James Grosjean enjoys the theoretical challenge of trying to beat games, and he also is a skilled practitioner who, when he finds an edge, cashes in. Exhibit CAA is a distillation of the theoretical knowledge he has acquired in analyzing not only blackjack but many other games. … As part of the book’s special bounty, you will find hidden nuggets of information throughout. Read carefully, reread, and enjoy.” – Edward O. Thorp. In April 2000, James Grosjean and Michael Russo were hole-carding at Caesars Palace in Las Vegas. After winning about $18,000, the players were accused of bending cards, arrested and jailed. Grosjean was held in a Las Vegas jail for over 4 days despite no charges ever being filed. Bob Nersesian defended Grosjean and Russo and won unanimous jury verdicts plus punitive damages against Caesars Palace, the Griffin Detective Agency and Imperial Palace (for a subsequent incident in which Grosjean was handcuffed, detained and searched despite not even playing). The jury awarded compensatory and punitive damages of over $500,000 plus attorney costs. 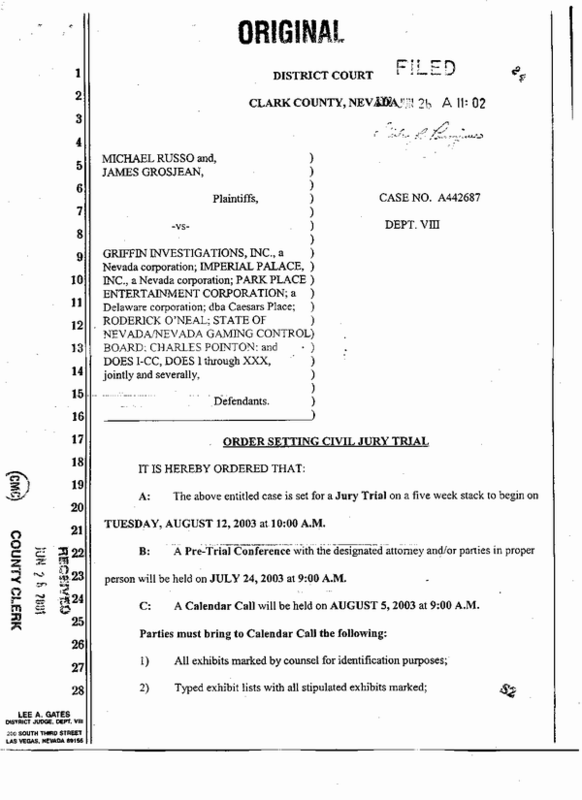 The first edition of Beyond Counting was entered into evidence in the trial. The court labeled the book “Exhibit CAA”. The letter “C” indicated that the defendant Caesars introduced the evidence and “AA” because it was the first exhibit. – Not recommended. See below. – Not recommended. This is an updated version of the same book by Guild listed above. The 10 page blackjack section is practically identical. – Outstanding. Highly recommended. Foreword by Bill Zender. From the advertising: “Advanced Advantage Play is the most complete book ever made available to the general public on advantage play against casino table games. It examines beating and protecting nearly all of the table games and side bets that are currently available on casino floors internationally, including blackjack, baccarat and pai gow poker. Based on material first published in Dr. Eliot Jacobson’s well-known blog APHeat.net, this book also covers advantage play against marketing and promotions.” Michael Shackleford, the “Wizard of Odds”, comments, “If you want to get up to speed on the latest techniques in advantage play, whether you are an advantage player or trying to protect your casino from them, … Advanced Advantage Play is essential reading” This book also has good reviews from experts such as Bill Zender and Stanford Wong. The author holds a Ph.D. in Mathematics from the University of Arizona. – I haven’t seen this book but it’s listed in the UNLV catalog. Possibly includes some law and legislation information on blackjack and the other casino games. Jordan, Jimmy “The Scot.” Learn How to Play Blackjack and Baccarat and Win. ??? – Not recommended. Contains inaccurate advice. – Also includes material on dog racing, horse racing, roulette, and craps. – Good. Recommended. Only 9 pages are devoted to blackjack but it’s good information. Also includes information about foreign casinos. – Very good. Highly recommended. Sklansky and Malmuth have both spent many years writing about the finer points of poker, blackjack, and other beatable games. This book, however, was written for the not-quite-as-experienced aspiring gambler. It shows you everything you need to learn and do if you want to gamble for a living both from the practical and the technical standpoint. – Very good. Highly recommended. Includes chapters and writings on gambling theory, theory in practice, controversial subjects, and opinions on several blackjack books. A must read book on the mathematics of gambling and how to apply them in the real world. Includes excellent information on bankroll fluctuation, long run expectations, etc. Includes specific information on the various casino games. – Good. Recommended. A simple unbalanced count that he calls the One-Two Count is presented. Excellent graphics for the time. – The blackjack section (9 pages) is not recommended . Includes an introduction to the game and some outdated information. The sections regarding the other games may be worth reading, however. Contains especially strong sections on probability, expected win calculations and the mathematics of odds. – Excellent. Highly recommended. One of the best how-to books for playing the various casino games. Darwin Ortiz, at one time, operated the Darwin Ortiz Gambling School in Jackson Heights, New York (c1980). – Sections on dice, cards, roulette, craps, poker, keno, blackjack and lotteries. – Not recommended. Primarily written by the Pattersons to advertise their Casino Gambler’s Network and the TARGET methods. – Not recommended. From the advertising: Chapters 4, 5 and 6 explain why card counting in blackjack doesn’t always work the way it’s supposed to and disclose how to avoid losing on the high count hands; i.e., when to bet up and when not to bet up on the high-count hands. – Formerly titled Radner on Roulette and Other Casino Games. – Good. Recommended. The blackjack section in this book is 25 pages. It includes the rules of the game, an accurate basic strategy and a good introduction to card counting. Also includes material on craps and roulette. – Good. Recommended. A basic book on blackjack and good coverage of other gambling games. Extensive review of gambling in foreign countries. – The blackjack section is through page 111. Also includes craps, roulette and baccarat/chemin de fer information. – Includes information about the game and a BASIC program listing. – Not recommended except as noted below. A poor and inaccurate treatment of blackjack. However, Scarne’s material on the other casino games is commendable. In addition, there is good material regarding the history of blackjack here. Regarded by many as an expert on gambling games, John Scarne (real name Orlando Carmelo Scarecchia) made a name for himself investigating and teaching American servicemen during World War II. He later served as a consultant to a number of casinos. Although very knowledgeable in the various gambling games, Scarne regrettably did not accept the facts and theories propounded by Dr. Ed Thorp. John Scarne died July 7, 1985, in Englewood, New Jersey. He was 82 years old. – Recommended with reservations. A good job in the presentation of information on most of the casino games now offered in casinos around the world. The blackjack section includes a good introduction to the game, basic strategy and card counting. I recommend that you “don’t” read this book if you are a beginner. Experienced card counters may find useful tactics and camouflage advice here. Just ignore Scoblete’s short run ideas. – Excellent. Highly recommended. Subtitled: “The Best Strategies for All Casino Games – Blackjack, Craps, Roulette, Slots, Video Poker and more“. Plenty of gambling books explain how to play the games; that’s Gambling 101. Gambling 102 takes you to the next stage, where you’re playing the games in the best manner for the least amount of effort. Within these pages, gambling’s “Wizard of Odds” provides the best strategies possible—along with the easiest learning curve—for all the casino games, from baccarat to video poker, from sic bo to sports betting. This is one of my favorite introductory advantage play books. – Very good. Recommended. The 1980 edition included a good 74 page blackjack chapter that covered the basics of the game through the fundamentals of card counting. In the advertising for the 2005 edition: The Winner’s Guide to Casino Gambling has been completely revised and expanded to include new rules and strategies for every major game in the casino, including several popular new ones. This entirely updated fourth edition remains the most authoritative and comprehensive book in its field, bringing gambling expert Edwin Silberstang’s professional secrets and expertise into the twenty-first-century casino. – Also includes material on roulette, baccarat and craps. – Excellent. Highly recommended. Sections on probability, the mathematics of gambling, general gambling concepts, poker, blackjack, the key card concept, and other gambling games including sports and horse betting. Written by a pro who, at one time, made his living playing poker and blackjack. Concentrates primarily on poker, blackjack, progressive slots, and casino promotions. Excellent stuff! – Also includes material on roulette, craps, baccarat and poker. Szabo, Alois. How to Win. Librairie Ley, Paris. Wehman Bros., New York; 1962, c1954. – Good. Recommended. A general guidebook with solid advice on casino gambling for the recreational player. Blackjack chapter is 103 pages. A selection of the best articles from one of the games most prolific writers. Each concise, easy to understand article contains helpful advice that will make you a more confident, informed player. See Henry Tamburin. – Review TBD. This book has not yet been published but has received some excellent pre-release reviews. The forword is by Nassim Nicholas Taleb and begins as follows: “Ed Thorp memoirs read like a thriller –mixing wearable computers that would have made James Bond proud, shady characters, great scientists and poisoning attempts (in addition to the sabotage of Ed’s car so he would have an “accident” in the desert). The book will reveal a thorough, rigorous, methodical person in search of life, knowledge, financial security, and, not least, fun. … “. See Beat the Dealer. – Good. Recommended. Short 18 page blackjack chapter with some system evaluations and effects of dealers’ dealing seconds and the effect of missing cards in a deck or shoe. Good bet-sizing advice. See Beat the Dealer. Valentine, Joel. The Valentine Maneuvers on 21 and Craps. ??? Wallace, Frank R. Neocheating, the Unbeatable Weapon in Poker, Blackjack, Bridge, & Gin. I & O Publishing; 1980. ??? – Excellent. Highly recommended. A classic. Includes Wilson’s point count system. Must reading for those interested in early blackjack strategy developments. The first knowledgeable treatment of gambler’s ruin, the Kelly criterion, betting progressions and strategies. – Excellent. Highly recommended. This book replaces his earlier published books Tournament Blackjack and Tournament Craps. Includes the best tournament playing strategies available anywhere. The blackjack section now includes material on matchplay tournaments and Wong has added some information on keno and baccarat tournaments. – Recommended. This is a compilation of the math papers from the 1994 Gambling Conference in Montreal and 1997 in Las Vegas. The book has six sections. – Previously published as Gambling for the Beginner – Las Vegas.